At 5 Star Billing Services, our comprehensive billing and collection services provide an effective and easy solution for your Federally Qualified Health Center (FQHC). We streamline complex and time-consuming billing, which leaves you with increased time and resources to focus on your patients. Our team of experts has years of experience working with FQHCs and Rural Health Clinics to make your billing and collections as simple as possible. Certified coders with extensive knowledge of coding and billing related processes, which ensures that you receive maximum reimbursements. Same day electronic claims submission to accelerate your payments. Professional expertise to assess and analyze your business, identify problem areas, and establish the best medical and billing procedures to improve your profitability. Experts in collection methods with insurance companies. Full compliance with HIPAA standards and regulations so that your patient data is 100% safe and secure. 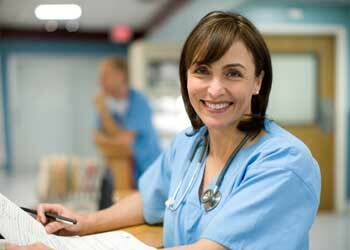 Maximum reimbursements and improved collections with our team of certified professional coders. Faster payments with electronically submitted claims. Reduced expenses as we perform your billing and collection services efficiently and economically. Professional expertise and service from our team. We work closely with your FQHC staff to provide you with exceptional customer service and support. Complete financial transparency with monthly reporting, to keep you up-to-date on your claims history and outstanding accounts. Online access so you can easily connect to patient data, including balances and transaction history. Our team of coding specialists and their in-depth knowledge of FQHC coding and reimbursement methodologies enable providers to receive the correct and maximum reimbursements available. We have a track record of consistently low adjustment rates, which means our clients benefit from the highest average return for every submitted claim. With several years of experience in a number of health specialties, our coding specialists are also CCS-P and/or CCS credentialed so we can ensure that we assign the correct ICD-10, CPT, and/or HCPCS codes from your FQHC’s medical records and reports. Our experts are also trained and up-to-date with the latest coding changes and payer requirements.